The new edition of our first book, Baby Read-Aloud Basics, with a preface to the new book and the elimination of the last chapter. "If I were in charge of American parents, my first law would be that all new parents had to read this book." We have compiled a list of additional resources to accompany our new book. Look for our reviews of recommended baby books on this website that we didn't include in our book. 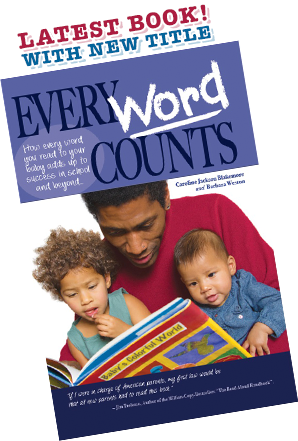 Parents often bring to our attention wonderful books that you'll want to share with your baby. Fun video clips to watch with your family. This is a video of an expectant mom reading to her daughter and baby before birth. Authors Caroline Blakemore and Barbara Weston Ramirez interviewed on the KUSI News Morning Show. ©2006–2016 Read To Your Baby, Inc. All Rights Reserved.